Home Formula 1 Can Vettel Cope With the Pressure? Can Vettel Cope With the Pressure? Pressure situation for Sebastian Vettel already after the second race. 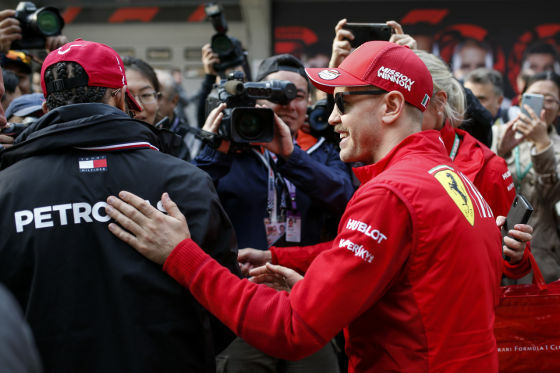 He not only has to compensate for lost points in Bahrain, but he is also competing for his team’s goodwill after Charles Leclerc gained their hearts in Bahrain. Not an easy situation to be in. He was much slower than his young Ferrari teammate Charles Leclerc (21). And he once again made a mistake in a direct duel with his arch-nemesis Lewis Hamilton. Therefore, Vettel’s marching order in Shanghai is clear: Just stay relaxed! What does that mean for him? Staying relaxed means that as soon as you arrive at Pudong airport on Wednesday, you mingle with Chinese fans and conduct a spontaneous birthday serenade for his Physio Antti Kontsas. It was his birthday. Staying relaxed also means taking a selfie together with Lewis Hamilton at the autograph session, thereby violating his own principles. Those who know Vettel well, are aware that the German actually doesn’t care much for selfies! Finally, doing nothing means leaving the mustache, and actually emphasizing it. Whether it’s his stubbornness or his own logical conclusion to keep his mustache we don’t know! Nevertheless, with all the smiles and good show, Vettel seems older, tired, serious, tense! Mentioning his teammate Leclerc, Vettel doesn’t think much of the narrative “enemy in your own bed.” On the contrary: “I’ve never been faced with a driver who was a real pain in my a**,” – “and I hope that will never be the case.” His bitter team rivalry with Mark Webber at Red Bull seems to be deliberately forgotten or repressed. In any case, it is obvious who currently rides a wave of sympathies and applause here in China. 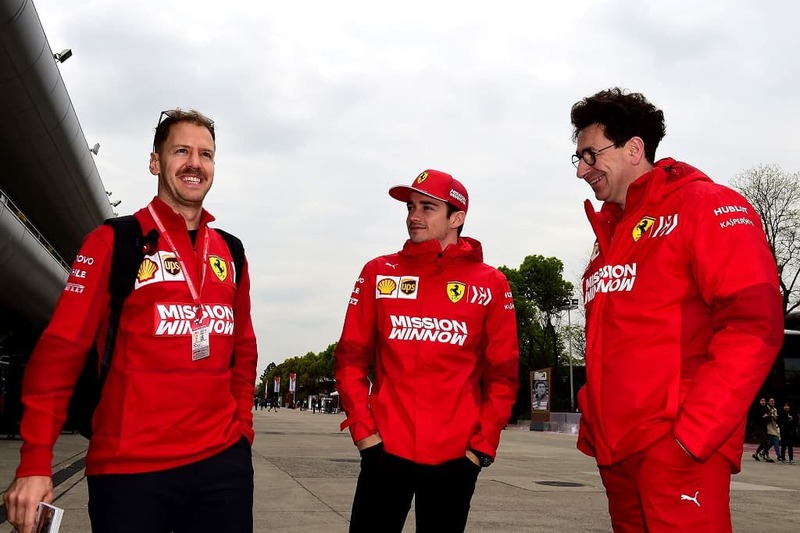 Leclerc’s body language radiates strength and confidence that is in stark contrast to Vettel’s own body language. Leclerc even justifies ignoring the team’s order. “I had the opportunity and used it, I was clearly faster.” What Vettel really should be pondering about is, why Ferrari didn’t reprimand Leclerc after that incidence. The question remains: Does Vettel actually have the mental strength to prevail against Leclerc? Time will tell whether the German still believes in himself or whether there are cracks in his armor already. The first practice sessions on Friday in China will provide some insights to these questions. Previous articleStrawberry-Flavored Gas for Ferrari?